Welcome to your new home nestled in the mature winding oaks of Magdalene Reserve. Enter through beautiful front doors to a grand staircase and dramatic foyer. This renovated 3bedroom/2.5bath home features a hard wood flooring new granite countertops Stainless kitchen appliances plantation shutters high ceilings + tray ceilings lots of natural light with sliders lining the back of the house a new heated + screened in pool and spa with all new pavers and new pool equipment/pump systems. The side patio is perfect for entraining and outdoor grilling. The home is filled with nooks and charming built in features to display your favorite decor. The spacious master bedroom is located on the first floor with sliders leading to the pool/patio. The master suite also offers a walk in closet a large master bath with a garden tub and large walk in shower. Formal living and dinning are open and spacious the kitchen and living room have views of the pool. 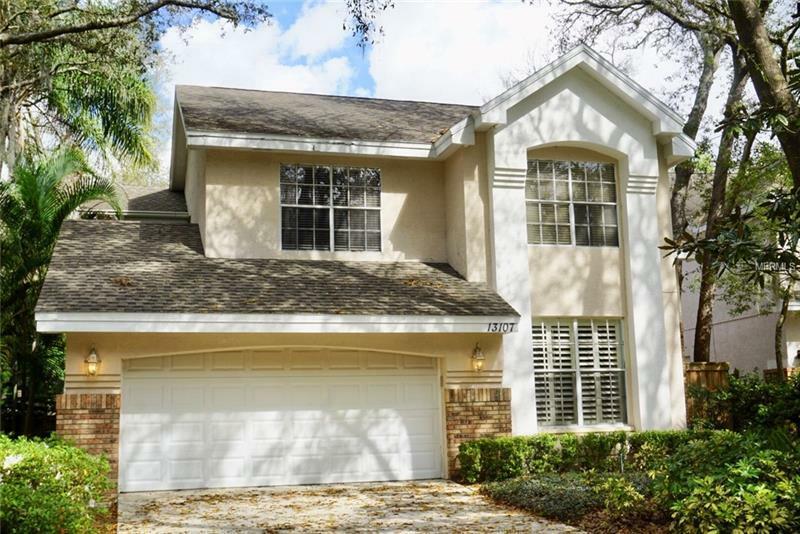 Upstairs you will find plenty of storage a bonus room perfect for media and entertaining and two bedrooms with a shared bath.The Magdalene Reserve community offers gated security a nature preserve a serene lake for evening walks Florida friendly manicured and mature landscaping. Driving home elicits feelings of ease and comfort able to melt away any stress from the day. In the holidays season when the oaks are lit up it is just magical. SOLD AS-IS. Qualified buyers only. Price TO sell!. Appraisal at $441000.00! Start with 20k in equity! Additional Water Information: Community has a lake with a walk away around it for the homeowners to enjoy the preserve. Amenities Additional Fees: Front yard is maintained by the HOA, and included in the monthly fee.